Before the U.S. Federation of Worker Cooperative’s 10th anniversary conference in Chicago, GEO asked some co-op veterans to talk about what they thought the USFWC had achieved in its first 10 years. "I am so impressed with the accomplishments of the USFWC in its first 10 years!,” said Hazel Corcoran, executive director of the Canadian Worker Cooperative Federation. Corcoran has acted as one of the many midwives to the U.S. co-op federation during its first 10 years of existence by serving on boards, attending conference and freely mentoring and lending a hand in other ways. Rebecca Kemble, President of the USFWC, agrees about the importance of DAWI and DAWN. “The biggest accomplishment of the USFWC has been our creation of the Democracy at Work Institute and the Democracy at Work Network of peer advisers,” said Kemble, president of CICOPA North America and a veteran of Union Cab Cooperative in Madison, WI. Kemble has been a leader of the movement protecting workers and unions in that state. 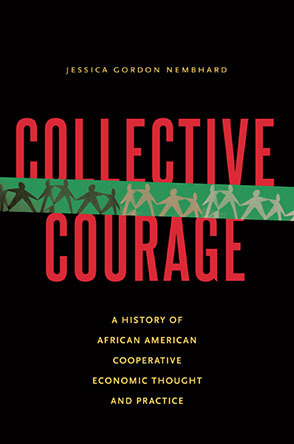 From city-funded co-op development in Richmond, CA to immigrant cooperatives in New York, California and Colorado; from Cooperative Energy and Recycling in Boston, to Ujamaa Freedom Market in Asheville, NC and the Black Star Co-op Pub & Brewery in Austin, TX (the first of its kind in the nation), more worker cooperatives exist to provide rewarding work, address local employment and economic issues and provide working experience with everyday democracy. This is important work. We need to be able to document and analyze our economic impact. USFWC cooperative membership more than tripled over the last decade, growing from 30 to 100 (as of 2013). That’s still less than half the number of worker cooperative firms believed to exist in U.S. Many of the Federation’s new members are immigrant cooperatives. Interest, appreciation and organization of worker cooperatives has also grown among people of color, youth, and the physically challenged. The USFWC is a tiny but growing part of the larger U.S. cooperative movement. Thanks to the work of the University of Wisconsin’s Center for Cooperatives, which in 2007 performed a study on the economic impact of co-ops, we now know the economic contribution of worker co-ops, the smallest sector of the U.S. cooperative movement. The revised 2009 Research on the Economic Impact of Cooperatives shows that there are 223 firms identified as worker co-ops, which is less than 1% of the cooperatives in the country. These worker cooperatives have over 55,000 members with assets of $128 million and revenues of $219 million. In comparison, there are 29,285 cooperative firms in the U.S. with 350,872 members. In total, cooperatives have assets of $3.1 trillion and revenues of $514.6 billion. Over the 10 years of its existence, the Federation has worked closely with the North American Students of Cooperation (NASCO). USFWC board member Tom Pierson was NASCO’s executive director for several years, and during that time NASCO held conferences that included workshops on worker cooperatives. NASCO served as fiscal sponsor for the Democracy at Work Institute, the educational arm of the USFWC, which helped the Federation to raise funds to launch the Democracy at Work Network. The Federation also became a member of Cooperation Works (a national network of cooperative development centers) and the NCBA CLUSA, the trade association for cooperatives in the U.S. In the South, the USFWC worked with the Federation of Southern Cooperatives/Land Assistance Fund to co-sponsor the New Orleans Worker Co-op Conference and to mobilize cooperators from around the country to help in redeveloping the city. There are more strong regional cooperative networks and associations. Ten years ago, there was only the Network of Bay Area Worker Cooperatives (NoBAWC), the oldest regional network in the country with cooperatives 30-40 years old. Over the past 10 years, cooperative networks and associations have developed, such as the NYC Network of Worker Cooperatives(NYC NoWC) and the Valley Alliance of Worker Cooperatives (VAWC) in New England. Regional organizations have also emerged in Philadelphia, Seattle, Portland, OR and Austin, TX. While the Federation did not have a direct hand in many of these regional organizations, it certainly laid the groundwork. Adam Trott, a member of Collective Copies and founder of VAWC, said that the national federation is an important resource and that regional organizations are powerful tools. There has also been interesting cooperative organizing in the South with the formation of Cooperation Texas, a nonprofit helping to create cooperatives in Texas. Indeed, interest in cooperatives has taken off, with the most recent example being the Jackson Rising New Economies Conference in Jackson, MS in early May which was attended by more than 600 people. The Baltimore Economic Democracy Conference, in mid-May, was attended by fewer but with a superb quality of participation. The years after the formation of the Federation in 2004, also saw the formation of the California Center for Cooperative Development (CCCD) in 2007 to spur development of cooperatives in the state. One of the most exciting indicators of interest from those outside the movement was filmmaker Michael Moore including cooperatives in his film Capitalism: A Love Story in 2009, presenting worker cooperatives as an alternative to the kind of system that we currently live in – an antidote to capitalism. The film featured two worker cooperatives, Isthmus Engineering & Manufacturing in Madison, WI, and Alvarado Street Bakery in San Francisco. While it can’t be said that the film was directly responsible for creating a "tipping point" of exposure of worker cooperatives, four years later the worker co-op movement started getting a lot more national and local coverage. That same year, Evergreen Cooperative Laundry also started to garner media support. In 2013 national news coverage of worker cooperatives included broadcast TV on AlJazeera America, and newspaper articles in the New York Times and the Wall Street Journal. Media coverage has also highlighted local cooperatives around the country. During these last 10 years, the U.S. went from having no representation in CICOPA (the sectoral organization of the International Cooperative Alliance for industry, service and crafts) to being the place where the president resides. But this wasn’t by accident; the organizers had an international vision from the beginning. “..[T]he USFWC has attained impressive achievements in such a short time,” CICOPA general secretary Bruno Roelants, said in response to our question about the Federation’s achievements. “Now, I really look forward to seeing the USFWC and the US worker cooperative movement in 10 years!” (See Roelants’ full statement here). While the USFWC was not involved in the founding of the Evergreen Cooperatives (which include green laundry, hydroponic farming, and solar cooperatives), Cleveland’s Evergreen model has excited an interest in co-op development by municipalities around the country that could change the way municipal development and social programs work. The Evergreen model was inspired by the work of the Mondragon Cooperative Corporation, primarily through late employee-ownership hero John Logue, founder of the Ohio Employee Ownership Center at Kent State University (John Logue passed away in 2009, a tribute to his life and work can be found here). The Evergreen Cooperatives concept brings together local institutions and nonprofits in a top-down manner to fund and support worker co-ops. It is not immediately clear how much education and real power the workers have in this model, but it has inspired the imagination of many. The path from scrawny and dubious grassroots project to a movement that developed into a strong player with international respect and great potential took the hard work and support of dozens of individuals, worker cooperatives, and other institutions. The success of the Federation has been a cooperative “village” project. First, many worker cooperatives and regional cooperative organizations served as the backbone for the organizing of this new nationwide worker cooperative movement. These businesses sent representatives to work on the national conference planning board during their work hours. This was significant in-kind support. It was the hard work of members of the planning board and the first board of directors which built a solid foundation for the organization to get to where it is today. The planning board was comprised of Tim Huet, active in the Western Worker Cooperative Conference, Rainbow Grocery cooperative and the Arizmendi Bakeries; Tom Pierson, who was a member-owner of Seward Community Café at the time; Lisa Russell from Equal Exchange; and Ajowa Nzinga Ifateyo, representing ECWD and a start-up copy shop in D.C. that did not materialize. The USFWC board was then, and is now, a working boar--and dozens have volunteered their time over the years. Those first board members worked so hard because they were excited about the potential of the Federation. They include Kirsten Marshall from Rainbow Grocery Cooperative in San Francisco; Lori Burge of People’s Food Cooperative in Portland, OR; Tom Pierson, who organized Forward Minnesota, a midwest regional organization; Brahm Ahmadi of People’s Grocery in Oakland; Bob Cahill of Eight Point Production in Minneapolis; Omar Freilla of Green Worker Cooperatives, Bronx, NY; Ajamu Nangwaya of the Federation of Southern Cooperatives, Epps, AL; Frank Adams of the Southern Appalachian Center for Cooperative Ownership, in Asheville, NC, Alice Murphy of Blue Moon Café also in Asheville; Wolfgang Hagar of Rainbow Grocery, and Ajowa Ifateyo, who was re-elected and is now representing Grassroots Economic Organizing, a democratic workplace, and is living in Washington, DC. Secondly, the best move the initial board made in 2004 was to hire Melissa Hoover as its executive director. She was a part time staffer and part of her nearly impossible job was to to fundraise her own salary and to facilitate the work of the first board. Hiring Hoover was the best decision the board ever made. Hoover’s hard work, commitment, sheer guts and boldness is largely responsible today for the success of the Federation. The fact that the Federation has not had to find a replacement, who would start from scratch, has contributed a sense of stability and continuity. Hoover oversaw the work that led to DAWI and DAWN, and many more essential tasks. I’m sure we don’t even know all the sacrifices and work that Melissa has done to get the Federation off the ground and to the point it is today. Now there are two other staff people, but for 10 years Hoover carried the ball, and the stress, most of the time. Third, the member cooperatives gave freely of their business locales, and member dues and donations. In fact, the movement funded itself. As an example, Rainbow Grocery, one of the movement’s largest cooperatives, paid its substantial dues early so that the Federation would have operating funds. Rainbow also had members who participated on the board, and they hosted the Federation for meetings and retreats. Equal Exchange, another large cooperative and important foundational member, has had a member on the board since its beginning, allowing them to attend meetings during work hours (and many off hours as well). There are many more examples, such as in-kind printing by Collective Copies and Red Sun Press, and cooperatives in each city whose members did the leg-work to organize conferences in their areas. The Eastern Conference for Workplace Democracy (ECWD) also supported building the Federation. ECWD’s Ajowa Ifateyo was a member of the national planning committee and a board member for nine years. In addition, the ECWD (which only organizes conferences) contributed $2,000 seed money to the Federation when it was organizing the first national conference. The following year, the Federation would give the ECWD $2,000 seed money for its conference. In fact, each conference built on and influenced the other in many ways. The synergy this provided is discussed below. Another important contributor has been the Grassroots Economic Organizing newsletter. Not only did GEO member Bob Stone do much of the work to build pre-Federation interest, but GEO has also been a voice for the Federation over the years, reporting on its progress and building support for its endeavours. GEO even offered pages to the Federation for its own newsletter, but it was too soon in its development for the Federation to have the people power to take advantage of the offer. Bob Stone interviewed Huet, of the Western Workers Cooperative Conference, who in 2000 first mentioned the idea of a national federation. GEO, then about 20 years old (having started out as Changing Work), had been reporting on and documenting alternative economic practices. GEO had also published An Economy of Hope, which listed cooperatives and other democratic workplaces around the country. That publication provided the seeds for organizing. The first step was organizing the East Coast of the U.S.--the West Coast already having the Western Worker Cooperative Conference. in October 2000, using The Economy of Hope, Stone started organizing a local network of cooperatives in the Boston area that become the Worker-Owned and Run Cooperative Network (WORC’N—pronounced workin’). Stone then organized a similar group in Amherst, MA. In 2001, he contacted the NCBA, the trade association of cooperatives, about organizing an Eastern conference with the ultimate idea of organizing a national federation of worker cooperatives, which were then scarcely represented within that organization. NCBA enthusiastically agreed. NCBA, GEO and nine cooperatives and support organizations got to work organizing, starting out with telephone conferences. Those organizing co-ops and support groups included: Equal Exchange, Red Sun Press, Community Builders Co-op, Dollars & Sense, Ownership Associates, ICA Group and Cooperative Charitable Trust. Tim Huet participated as an adviser. The Western Conference later elected him to be a liaison between the Eastern and Western conferences. In August 2001, 15 people representing co-ops and support organizations became the Organizing Committee. NCBA’s Leta Mach and GEO's Jessica Gordon Nembhard (who was also a member of the Democracy Collaborative at the University of Maryland, College Park) handled logistics and administrative support. NCBA, GEO and the Democracy Collaborative were the sponsors. Ninety-six people from 34 cooperatives attended the first Eastern Conference in July 2002 at the University of Maryland, outside of Washington D.C. Gar Alperovitz, a political economist with the Democracy Collaborative, was the keynote speaker. Tim Huet from the West Coast and Tom Pierson from the Midwest, responding to a call from Bob Stone, also attended. Huet discussed the West Coast proposal to form a federation of worker cooperatives. As a result, three representatives from the Eastern Conference – Randy Zucco of Collective Copies, in Amherst, MA; Lisa Russell of Equal Exchange in Boston; and Josh Brown of Casa Nueva, in Athens, Ohio – were chosen to be a part of the national conference organizing committee. Ajowa Ifateyo later replaced Brown, who dropped out. A second conference was planned for Amherst, where the other local organization that Stone had helped to bring to together was located. That conference was held at the University of Massachusetts in Amherst (universities and their dorm rooms were the cheapest places to hold conferences). Attendees displayed a clear understanding of the links between the co-op movement, unionized workers, economic justice and the international aspects of the work. Bruno Roelants, the general secretary of CICOPA, urged the participants in his keynote address, to organize a national federation, exclaiming that the international co-op world was excited that co-op organizing was finally taking place in the U.S., the last industrial country without an organization of cooperatives. Chuck Collins of United for a Fair Economy in Boston, talked about how worker co-ops could help build a just economy. Joe Alvarez of AFL-CIO stated that the movement could rebuild the solidarity once apparent in the co-op and labor movements. Afterwards, conference participants prepared to head to Minnesota, which had already been agreed upon as a halfway point between both coasts for the founding of the national federation. One hundred and fifteen worker cooperators and their supporters attended the founding conference at the University of Minnesota. There were three big issues that dominated the discussions. One of those was what exactly constituted a worker cooperative. Worker cooperatives on the West Coast generally funded themselves and had strong worker-control of their cooperatives, while on the East Coast support and development organizations helped to fund worker cooperatives and had some influence, even if unintentionally. In addition, Roelants had already warned participants at the Amherst conference about imposter worker co-ops in Europe using the language but acting in heinous ways with the workers. After failing to reach agreement on their own definition of a worker cooperative, the conference finally agreed to adopt CICOPA’s definition. Notably at that first conference, participants included provisions to ensure the appointment...of women, people of color, youth, and differently-abled people. Another important area was around boundaries. The ECWD did not really have boundaries and had co-op participants from the Midwest, South and East. Clear regional boundaries were set. Southern organizers later reported that this decision ended up cutting off cooperatives in the South from ECWD support. After regions were set, representatives for each region elected at-large representatives chosen with limitation as to the number of support organizations that could participate. Notably at that first conference, participants included provisions to ensure the appointment (if none were elected) of women, people of color, youth, and differently-abled people. One of the first acts of the new board was changing the name from the proposed U.S. Federation of Worker Cooperatives and Democratic Workplaces. The East had many employee-owned organizations, many of which were Employee Stock Ownership Plans or ESOPs, and proposed that they be included with the “Democratic Workplaces” in the name. The new Federation board determined that the name was too cumbersome and that its priority was worker cooperatives, since ESOPS had their own organization. The vote was overwhelming. Whether a national organization could overrun important regional work was raised as a possible downside to a national federation, as well as a national organization becoming so big that local groups would be neglected. The board defined the regional organizations--the Western Worker Cooperative Conference, the Eastern Conference on Workplace Democracy, and the Forward Minnesota group organized by Tom Pierson--as regional partnerships. Complicating matters was the fact that WWCC members paid dues and the ECWD did not. The Federation board early on acknowledged and respected the regional organizations and did not want to interfere in those strongly built networks by charging the regional organizations membership dues, so as to not interfere with funding or requiring co-ops to pay twice. A statement from that first annual report stressed how important the designation of a regional partner was. "We were very conscious that we did not want the national organization to interfere with local and regional organizing--not in competition for dues, not in organizing on a local level, not in representation on the national board and not in self-determination." Interestingly, 10 years later that fear appears not to have materialized, and regional organizations are thriving. Before the Chicago conference, Adam Trott said that VAWC regional organizing had grown from five members to 9. The organization has also started a co-op loan fund to help in local development, and last year spoke to over 200 students in undergraduates classes about co-ops. Another task that the first board started was incorporation. The board had chosen California as an incorporation site, but problems surfaced with having the “United States” in the Federation's name. A representative of the state of California believed that the name implied the organization was a government organization. American University’s Community Development Law Clinic in Washington, DC and Hastings Law School in San Francisco worked pro-bono to help with the complicated incorporation process. In addition to incorporation, that first board had the task of implementing priorities approved at the Minneapolis conference. Using a list of 23 priorities voted on at the conference, the board developed an ambitious list of activities for four years from 2006-2010. Ten years later, many of these ambitious goals have been put into practice or were at least attempted. These accomplishments include a recruitment drive, biennial conferences, incorporating a 501c(3), developing a database of co-operatives and allied organizations, advising the Worker Owner Fund, creating DAWI and DAWN, and maintaining CICOPA relations. The much-desired goal of developing pension and health insurance benefits for workers at member businesses was unsuccessful due to many factors. Interestingly, since those years in which the Federation tried everything it knew how to achieve this goal, the Affordable Care Act has given rise to 23 health insurance CO-OPs (customer owned and oriented plans) that have made it possible for some co-ops to offer insurance. As reported by NPR, states with CO-OPs have 8.4% lower premiums than those without. As for the goal of maintaining our contact with CICOPA, it is heartening to note that the Federation has gone from struggling to organize a federation of worker cooperatives in the U.S.--the only industrialized country that had no representative at the international co-op table--to being the president of CICOPA North America. Some of those initial goals--a national public affairs campaign, branding and marketing program for worker cooperatives which would include an online store and a national advertising strategy, and an independent fundraising strategy--were obviously pipe dreams, the baby wanting to run before it could walk. But as the first board understood even then, this federation needed the support of its members to get off the ground. Now that the "child" can walk, and the Federation has achieved some measure of success in marketing, public relations and fundraising, perhaps more attention can be paid to developing these areas. The board aimed high for its first conference--New York City--believing that having the conference there would give the Federation a boost on the national and international stages, both with union workers and with other organizations. New York is a media center and there were significant worker cooperatives in the city, state and region. These included Cooperative Home Care Associates in the Bronx, the largest worker cooperative in the country, Equal Exchange, Collective Copies and the newly founded Colors Restaurant, which was started in 2006 by former workers at the Windows on the World restaurant in the World Trade Center. The conference was a political and social success, if not an economic one. The Federation lost money on the conference. …the nascent Federation has served as a contact point and resource for those interested in forming, supporting or studying worker cooperatives. Interest in the democratic worker-owned model is growing around the country. People in diverse fields and industries―truck drivers organizing in South Carolina, motorcycle parts manufacturers in Arizona, college students from several states, bookstore and café workers in Oregon and Maryland, nurses in Wisconsin, food bank workers in Alabama, and teachers in California―have all contacted the Federation over the past two years. They have sought information on all aspects of worker ownership and democratic self-management―how to get started, get technical assistance, get money, and begin operating. The Federation has focused on building the resources to help provide answers. It is hoped that the upcoming national conference will serve as one of those resources, a forum to foster democratic workplace development. Look for some of the people mentioned above at the conference in New York City. National conferences were planned for every two years, alternating with regional conferences in the off years.